Through the Avocado Obstacle Course, Part III | Small Farmers. Big Change. 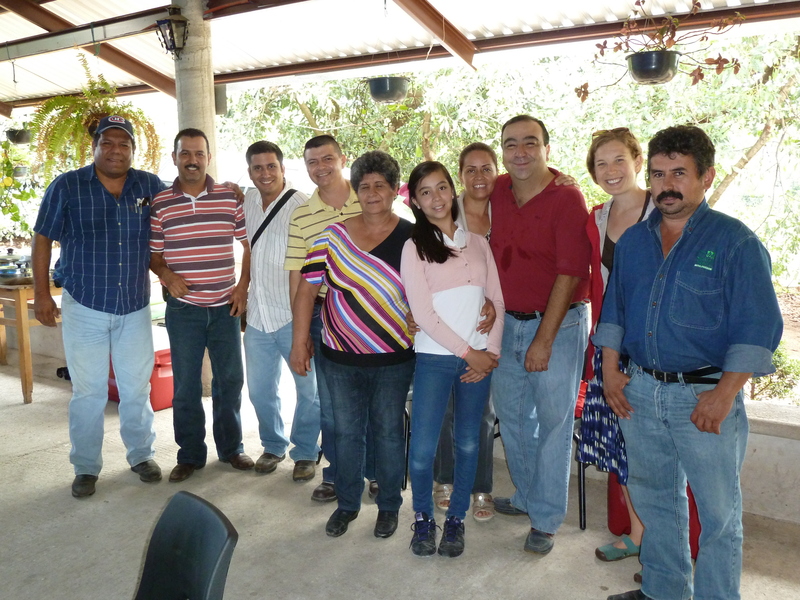 A group of avocado farmers and their families with Equal Exchangers after a delicious homemade Mexican meal in the mountains. Challenge: You are suddenly back on your farm and your box of avocados is being sorted and tested for quality. If they have a brown spot, are too small in size, or come from a tree that may have contained worms, they are thrown to the hungry avocado eating guacabeasts. If enough co-op members pass obstacle #3, you might just have enough volume to find a buyer at the finish line. Since the US also produces avocados and wants to ensure that California avocados remain competitive, there are an incredible number of control points in the Mexican avocado industry. Each producer must receive about 3 certifications for quality and potential volumes alone, plus USDA certification of each hectare of land. Each individual certification is expensive and must be obtained yearly. In addition, every time avocados are harvested, a USDA approved cosechador (harvester) must be contracted to come to the farm to inspect and harvest the fruit. Larger companies can afford their own harvesters, but Pragor does not yet have enough volume to cover a full time harvester. The USDA also must inspect twice at the pack house, and again when the truck crosses the border into the US. By the time Mexican avocados arrive on your store shelf they have undergone 5 official inspections, each adding extra costs to the final price. 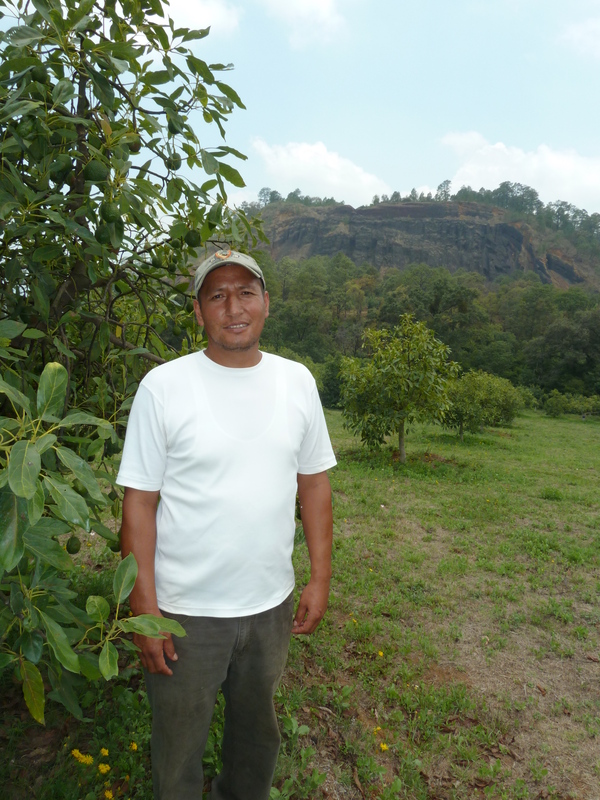 Alfredo, a member of the PRAGOR cooperative, on his families beautiful farm in Tingambato. He and his family converted to organic 10 years ago, a revolutionary move for the time! Challenge: Congratulations! You made it to the last obstacle with enough producers to look for a US buyer. In order to cross the finish line, you must find a decent buyer who will: a) buy and sell enough avocados all through the season (~September to March); b) Pay enough for your avocados for your co-op to survive; and c) Sell your avocados to consumers who care. Pricing on avocados is a cut throat business. Throughout the year as different avocado growing seasons begin in Mexico, USA, Chile, and Peru, supply increases and decreases, as does the price. Over the last few years, US consumer demand for avocados has grown due to year round avocado supply from a longer Mexican avocado season, and from Chilean and Peruvian avocados entering the US market. As a result, U.S. imports of Mexican avocados grew by 40% last year on top of the growth that occurred in prior years. This exponential growth has further exacerbated the price wars on the producer, distributor, and consumer level. Last year, Pragor producers received prices as low as $0.27 per pound for their highest quality Category I organic avocados when selling to multinationals. Farmers have a very difficult time attaining an accurate asking price for their ready-to-harvest-avocados. When the market is tight, companies offer high prices to producers and low prices to the stores to keep customers and undercut competition. The shimmering high price causes producers to compete against one another, and sell their fruit for this high price, only to be offered a very low price by the same company for their next harvest. Pragor therefore has to be extra diligent when recruiting farmers to join their co-operative. It is essential to find producers who appreciate and desire being part of a fair trade and cooperative business model. The fair trade concepts of democratic decision making, minimum pricing plus an additional social premium, and increased control over operations are even more foreign in the Mexican landscape. In the US market, the big importers purchase avocados at a high price and sell incredibly low to distributors, undercutting competition. They then wait for the right moment to pay ghastly low prices to producers and overcharge distributors to make up their margin. The consumer, as usual, remains relatively blind to the price war behind their avocados sitting nicely on the shelf for $1.89 each. US consumers are conditioned to want cheap food. Our cheap food mentality does not reflect the true cost of food and energizes these price wars. The stores are afraid to charge more to the consumer, the importer is anxious about charging more to the store and the producer is terrified of asking more from the importer. If we create a world where food is cheap, but only for the consumer, what kind of world have we created? Tomorrow, read the conclusion here.